This course will qualify you to organise and conduct diving activities as a dive guide. It covers various water and diving skills, rescue evaluation, map making, emergency planning and a number of theory sessions and exams. This course takes approximately two weeks but to work as a Divemaster, it is recommended that you spend at least a further two weeks gaining further experience whilst working with other dive guides. 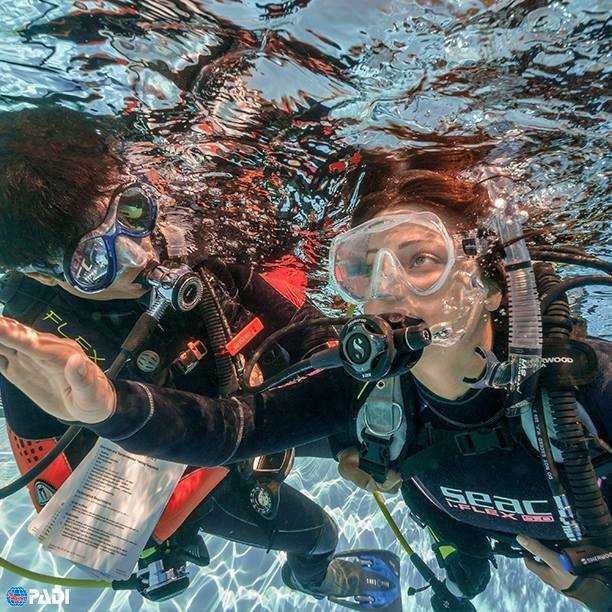 For more information on the PADI Adventure Diver course from Divers’ Lodge Hurghada please do not hesitate to contact us.